This category is split into 59 pages. This is page 43. 2115 Proof sets 1997, 1998. Uncirculated sets (11) 1984-1989, 1991-1994, 1996. Five Pound Crown 2002. Together with other unc. Coins and nickel Commonwealth Crowns, Bahamas 1966 Mint set and a few world banknotes. 1788 Britannia Gold a four-coin set 1991 no. 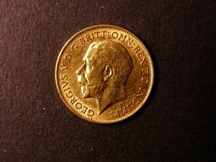 408 comprising Gold £100 1 oz., Gold £50 1/2 oz., Gold £25 1/4 oz, Gold £10 1/10 oz. Proof FDC cased as issued, with certificate. Only 750 four coin 1991 sets issued.